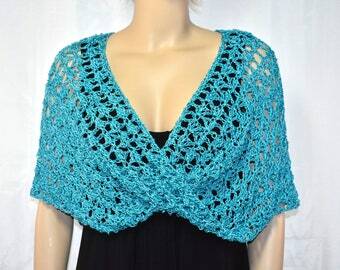 This lovely crochet shawl, ruana, wrap, or scarf will be made to order in your color choice. It's versatile design allows it to be worn multiple ways. 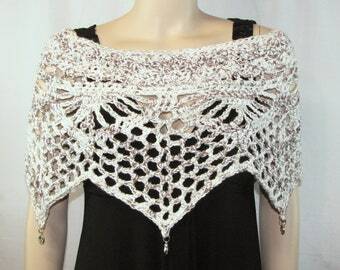 Imagine it being worn over a festive outfit to a holiday event, wedding, party, luncheon, cruise or even on an evening out! See the last photo to view the whole dragon wing shape. 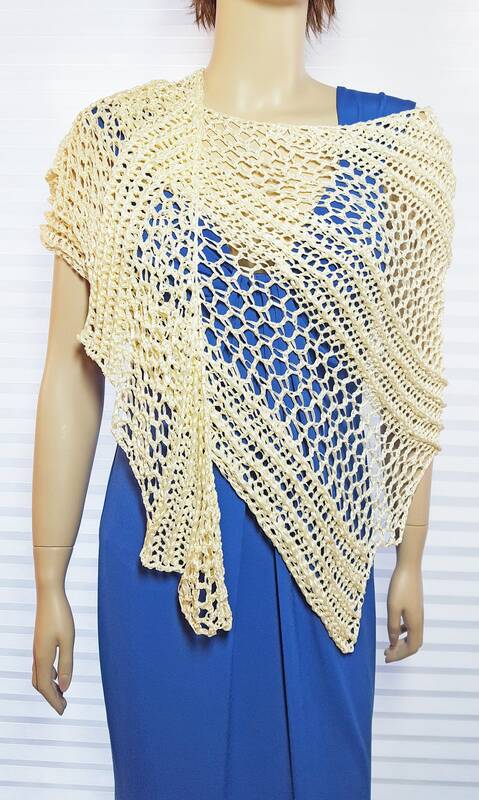 This shawl drapes beautifully and fits most sizes. There are many ways to wrap, clip, button or pin it. Washing shouldn't be necessary but if it's ever needed, it's best to wash by hand and lay flat to dry. I'd also thrilled to make multiple shawls bridesmaids or any event where multiple matching or coordinating shawls are needed!